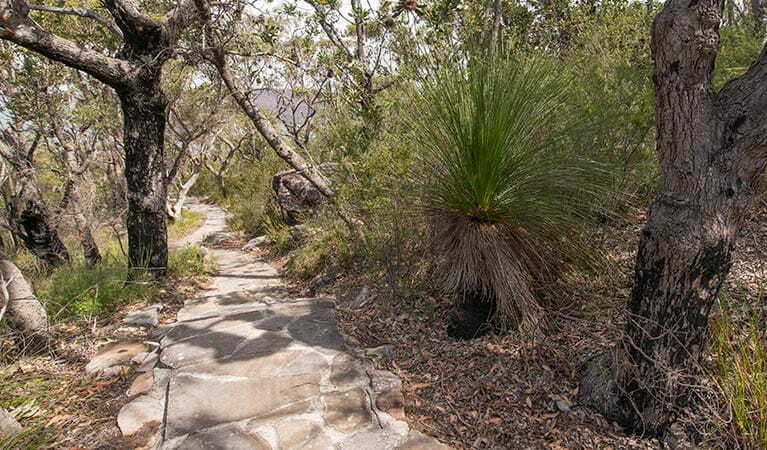 Part of Great North walk, Wondabyne to Patonga walking track is an overnight walk through NSW Central Coast bushland. 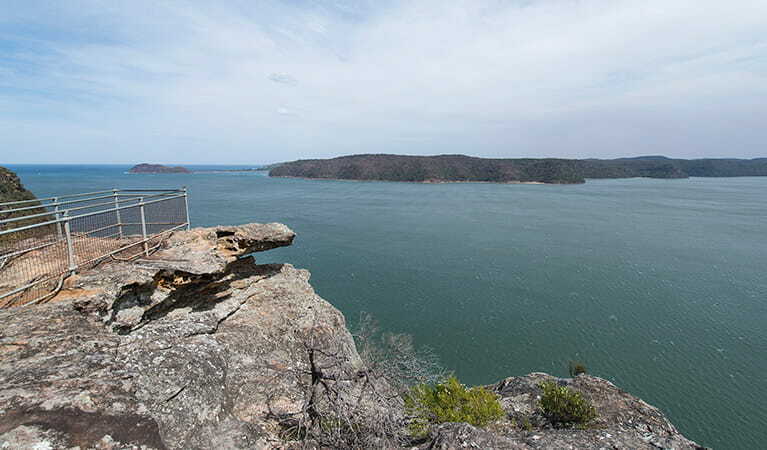 It offers great Hawkesbury River views and birdwatching. 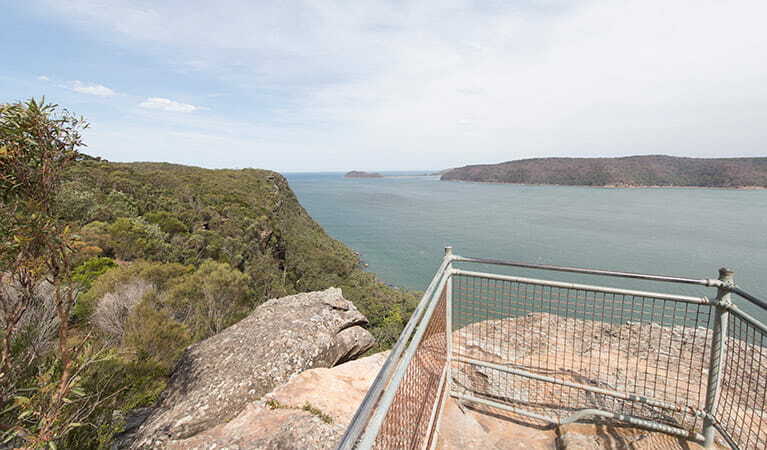 Wondabyne to Patonga walking track is always open, but may have to close at times due to poor weather or fire danger. 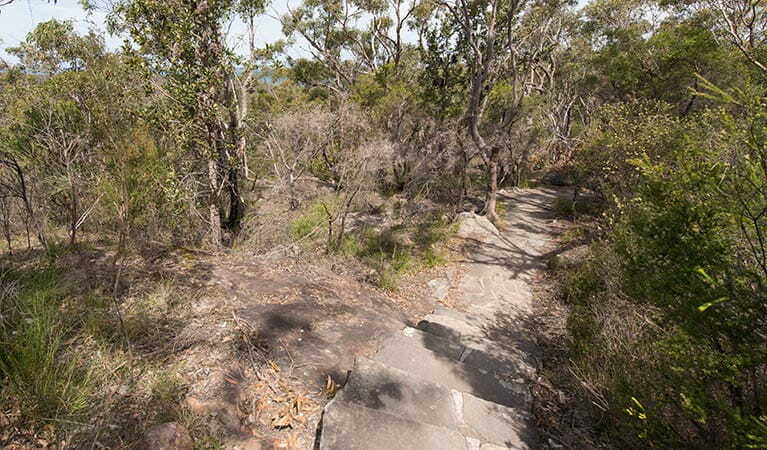 Wondabyne to Patonga walking track is part of the renowned Great North walk, and is an absolute must for experienced bushwalkers and campers keen to explore Brisbane Water National Park. Starting at Wondabyne railway station, this challenging rough track winds through superb grassy woodlands, rainforest and coastal heath. 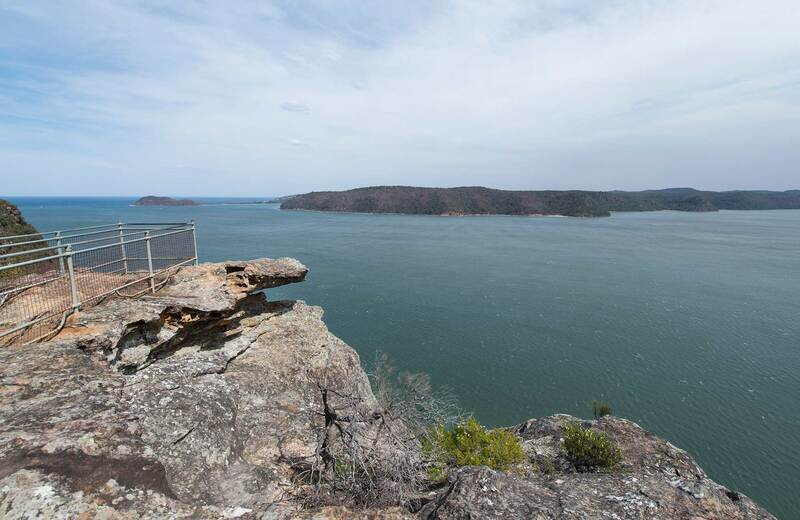 Soak up spectacular views over Brisbane Water, Broken Bay and Hawkesbury River and stop for a swim near Kariong Brook waterfall; particularly impressive after rain. Pitch your tent at remote Mount Wondabyne bush campground – be sure to look for the fire circle near the base of the mountain. Birdwatching enthusiasts are spoilt for choice all year round, so keep an eye out for cockatoos, brush turkeys and owls. You may even spot a koala in one of the grey gums. Upon reaching Patonga, take the ferry to Palm Beach or the bus to Woy Woy or Gosford.